Resveratrol is a polyphenol that is mainly found in grapes and red wine and has been reported to be a caloric restriction (CR) mimetic driven by Sirtuin 1 (SIRT1) activation. Resveratrol increases metabolic rate, insulin sensitivity, mitochondrial biogenesis and physical endurance, and reduces fat accumulation in mice. 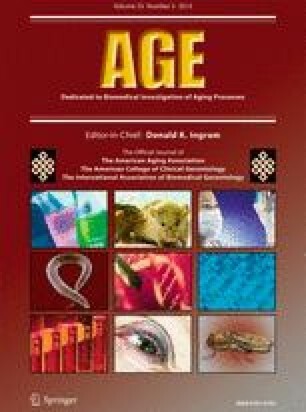 In addition, resveratrol may be a powerful agent to prevent age-associated neurodegeneration and to improve cognitive deficits in Alzheimer’s disease (AD). Moreover, different findings support the view that longevity in mice could be promoted by CR. In this study, we examined the role of dietary resveratrol in SAMP8 mice, a model of age-related AD. We found that resveratrol supplements increased mean life expectancy and maximal life span in SAMP8 and in their control, the related strain SAMR1. In addition, we examined the resveratrol-mediated neuroprotective effects on several specific hallmarks of AD. We found that long-term dietary resveratrol activates AMPK pathways and pro-survival routes such as SIRT1 in vivo. It also reduces cognitive impairment and has a neuroprotective role, decreasing the amyloid burden and reducing tau hyperphosphorylation. We thank the Language Advisory Service of the University of Barcelona for revising the manuscript. This study was supported by grants SAF-2009-13093, BFU 2010/22149, SAF-2011-23631, and SAF-2012 from the “Ministerio de Educación y Ciencia,” 2009/SGR00893 from the “Generalitat de Catalunya,” 610RT0405 from the Programa Iberoamericano de Ciencia y Tecnologia para el Desarrollo (CYTED), and the Fundación MAPFRE (Spain).